When you entertain indoors, you end up spending a lot of time with your guests in the kitchen. Because cooking with friends is now part of the entertaining experience, it’s important to clean as you cook so the kitchen isn’t left messy right before you sit down to enjoy a good meal. The best way to clean as you go is to have a quality dishwasher that allows dirty dishes to be quickly arranged and washed. 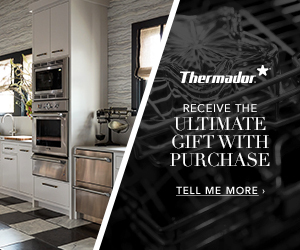 Thermador makes clean up effortless! 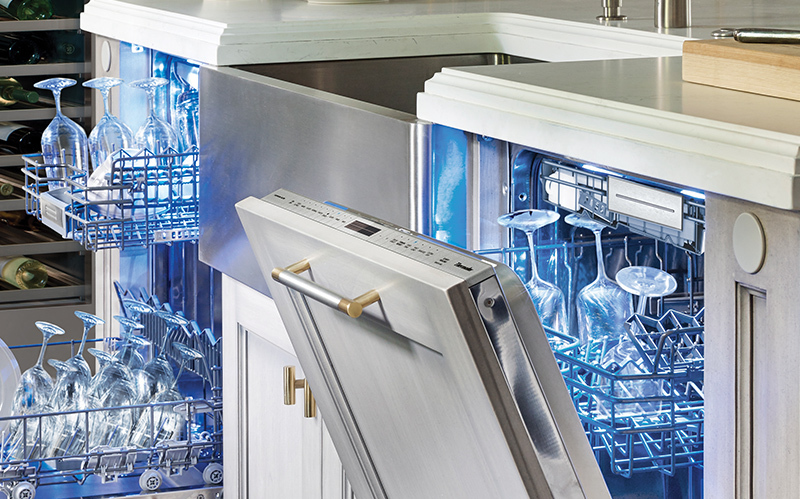 With flexible racks and folding tines, along with a range of wash cycles, their dishwashers will ensure that your dishes are not only clean but taken care of. 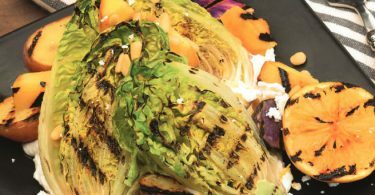 They can handle everything from large pots and pans during meal prep as well as bulky cooking utensils and fine stemware. 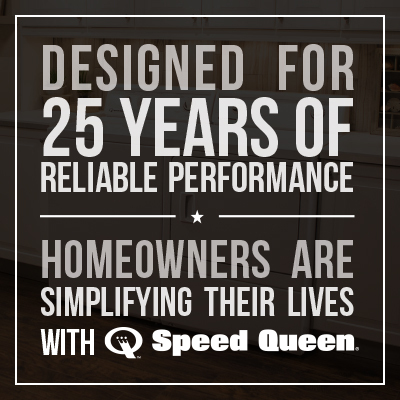 With StarSpeed™ – the fastest full wash cycle in the industry at just 20 minutes – the evening can flow seamlessly without having to stop for lack of a serving plate or wine glass. This is the ultimate cleaning option for home entertainers. 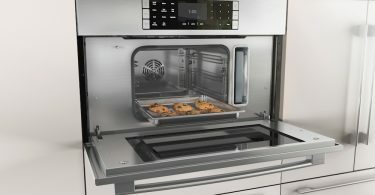 Many cooks are worried about keeping their appliances clean or how to clean a glass stove without scratching it. 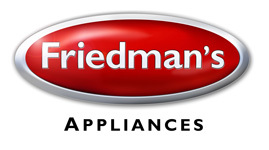 The Thermador Induction Cooktop is not only a wonderful sidekick in the kitchen but also a breeze to clean! The cooktop is made from transparent ceramic glass, which makes it extremely easy to wipe away spills as they happen and to quickly cleanup when a meal is complete. 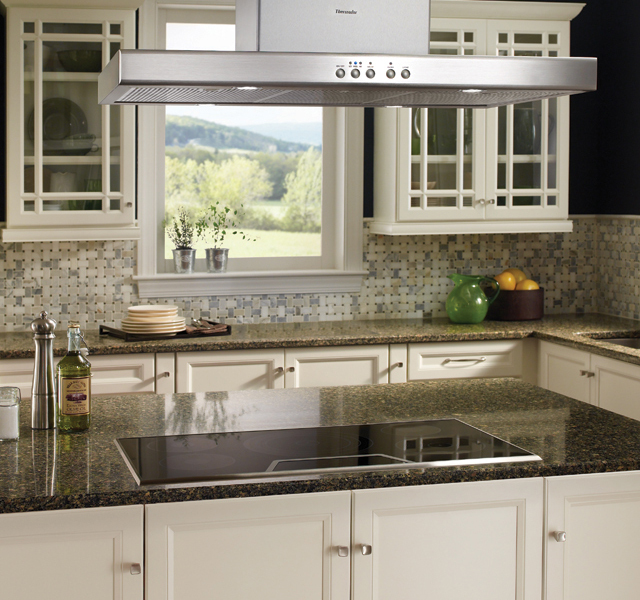 Using a small amount of glass ceramic cooktop cleaning cream with a soft, clean cloth is enough to wipe away a cooled down surface. Then buff it with a clean, dry towel and voila – your kitchen is sparkling clean in no time! Entertaining indoors brings warmth, happiness, delicious food, and happy memories with loved ones. And may your kitchen always be sparkling!